Raku ware, which originated in the 16th century, is a low-fired ceramic ware made in Kyoto by the Raku Family, a family dynasty that is respected for its outstanding tea bowls and tableware (for use in the tea ceremony). The current Raku is Raku Kichizaemon XV. Raku ware also refers to ceramics made by amateur and professional potters in the tea community. Raku first, Hagi second, Karatsu third. This is an old tea adage here in Japan and still holds true to an extent even today. 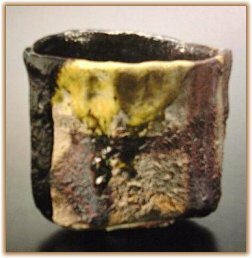 There are various Raku substyles, including Chojiro Raku, Koetsu Raku, and Aka-Raku (reddish-brown raku). The latter is usually covered in iron oxide and a transparent glaze and then fired at low temperatures.  The savoring of tea, which was greatly influenced by Zen, was well suited to the more muted beauty of unglazed ceramics. The best of these unglazed ceramics were initially produced in Shigaraki, as well as by the great tea master Sen no Rikyu (1522-1591) and his friend Sasaki Chojiro (1516-1592). Chojiro's son, also an excellent potter, was awarded a seal (reading "raku" which translates as "pleasure") by the Shogun (military leader of Japan). Chojiro went on to became the originator of Raku in the early Momoyama period (1573-1603) in Kyoto. Below links contain only one photo each.